Wan Chai is choc-a-bloc with a variety of tasty eateries lately, from the swanky to the modest and cool. 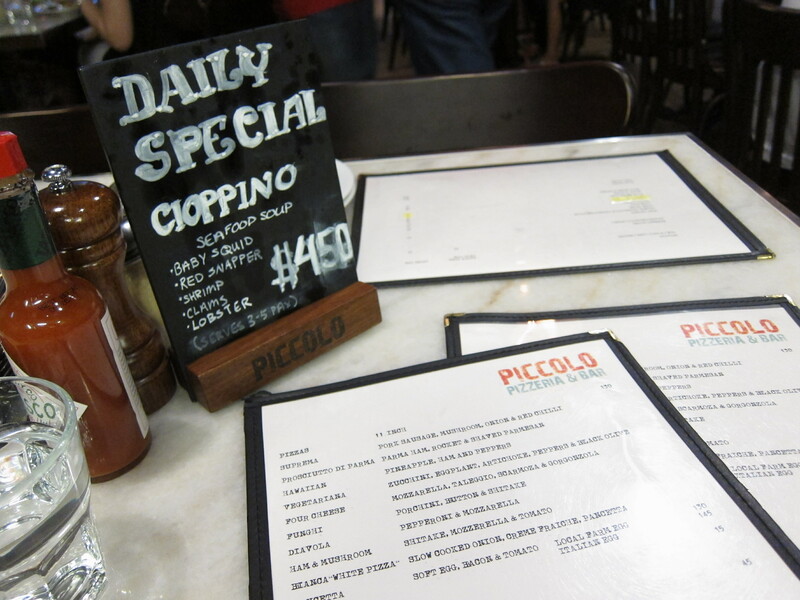 Piccolo Pizzeria and Bar is one of the latter, and after successful branches in Kennedy Town and Tai Hang, a third restaurant has now opened at Tai Wong East Street. If you enjoy their Roman-style pizzas and satisfying pastas, but found Tai Hang and Kennedy Town just that little bit too far to get to, then the Wan Chai is nicely in the middle to sort out your needs. 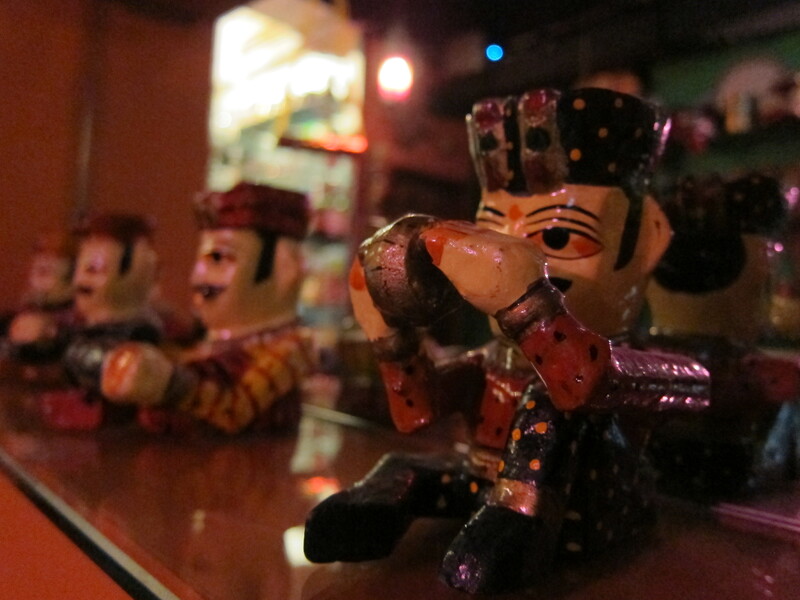 Homey and family-friendly were the two things that sprung to mind when I stepped foot inside one Saturday evening. The premises are thankfully larger than their Tai Hang branch which, despite my best efforts, I could never get a seat at. The word ‘friendly’ persists, with happy, helpful staff who showed me to my table and were just on the right end of chatty to talk me through the menu and their specials. I had a good view of the restaurant, gazing up at their muted tin lights with different shaped tungsten filaments lining the centre of the ceiling and their open bar. 70s and 80s music washed over me, and I had to stop myself from showing my age and busting out some karaoke warblings to The Police and Spandau Ballet. The menu does not try too hard with too many dishes or anything overly fancy. The focus is on the freshly-made pizzas and pastas with the addition of a daily special. I started off with a basic Beetroot and Rocket salad, which was nicely dressed but could have done with a slightly more generous helping of beetroot to what was a forest of rocket on my plate. 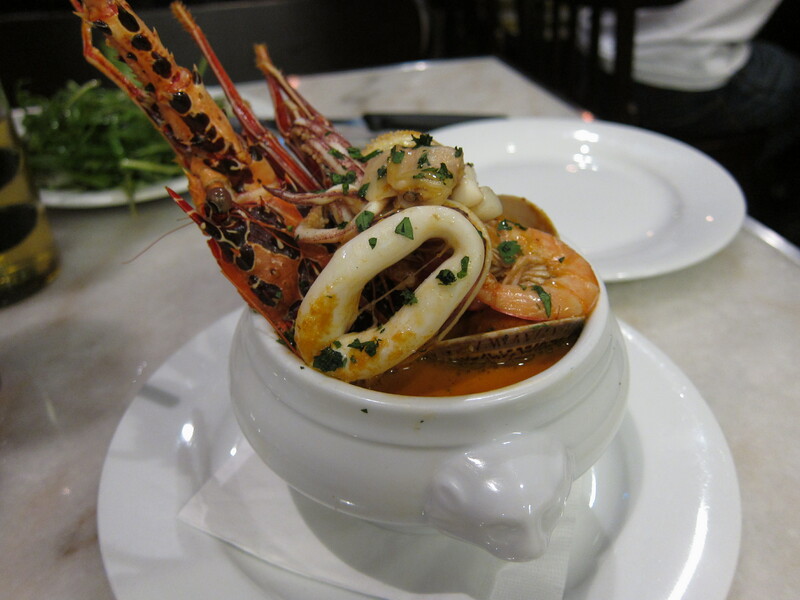 I tried a small portion of the special that day which was an Italian seafood soup called Cioppino, with Red Snapper, squid, shrimp, clams and lobster. The shrimp were sweet, the broth full of flavour and quite clearly the result of a good amount of reduction with half the sea in it. 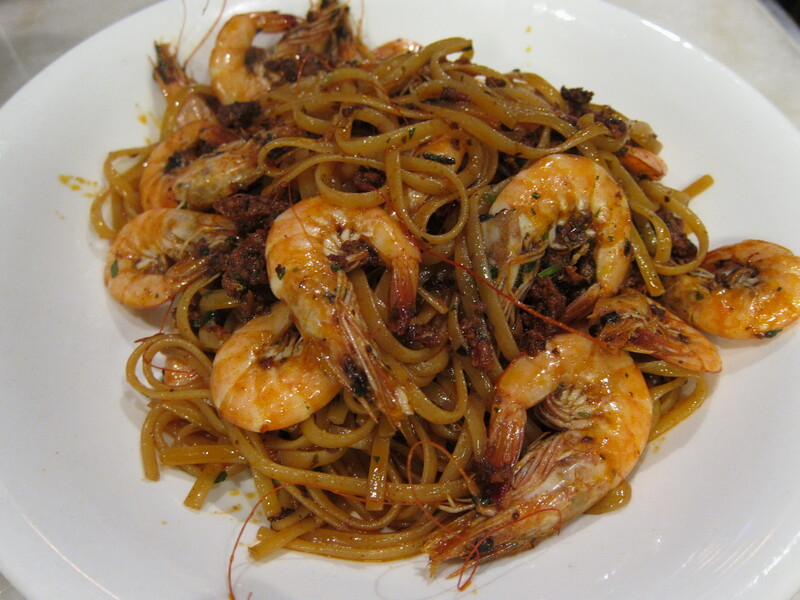 The staff recommended I have the Nduja de Calabria pasta with live prawns tossed with chilli. This was by far, the most delicious pasta I have had for a long time. The Nduja, which is the Calabrian version of salami, is spicy and typically used as a spread on breads or served with cheese. In this pasta dish, the chorizo-like piquant sausage lovingly coated the pasta and the prawns were so fresh and sweet, that I clean forgot I had pizzas to look forward to and tucked into this dish with gusto. 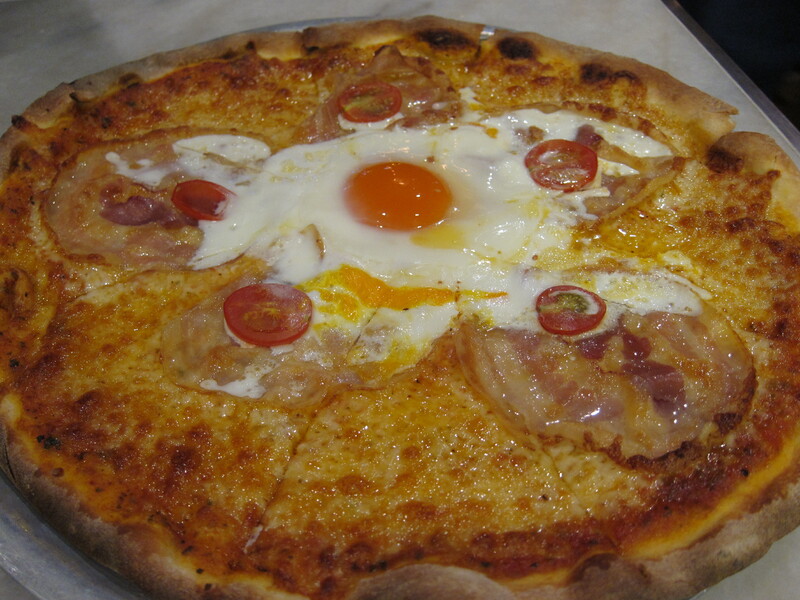 I was able to sample two of their pizzas- the signature Pizza Pancetta with bacon, tomato sauce and a soft egg and the bestselling Prosciutto di Parma with Parma ham and rocket. Both were excellent though I especially loved the Pizza Pancetta. The pizza bases were crispy and thin and the cheeses melted and bubbled to perfection. I stopped at two slices from each and excitedly asked to have the leftovers to take-away, a brilliant decision on my part as my lunch at home the next day was amazing. The Pizza Pancetta was, I think, even tastier and I had it cold. Not that I would encourage this, but I am definitely ordering this pizza again and saving some for leftovers. Although I was on the verge of bursting, no meal would be complete without some dessert. 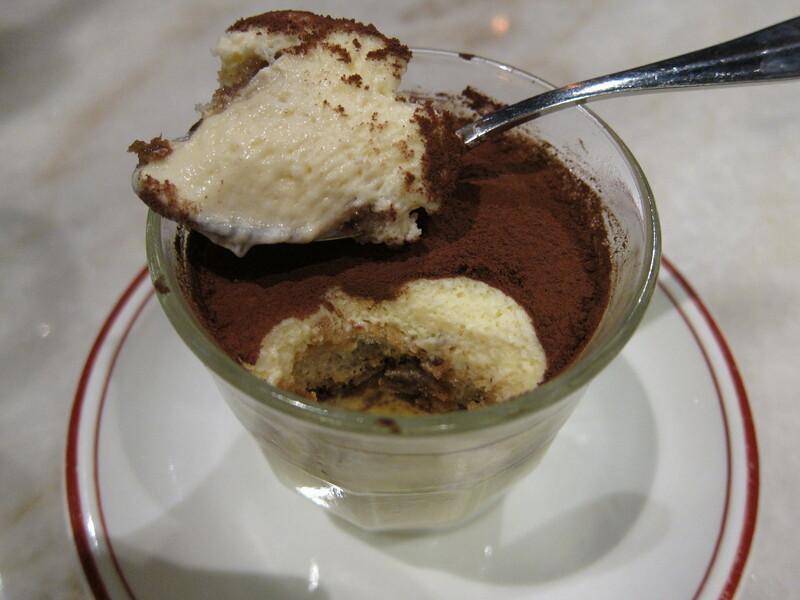 I had to try the Tiramisu which was lovely and light and child-friendly. The portion is just enough to satisfy anyone’s craving for a sweet ending without being too cloying. 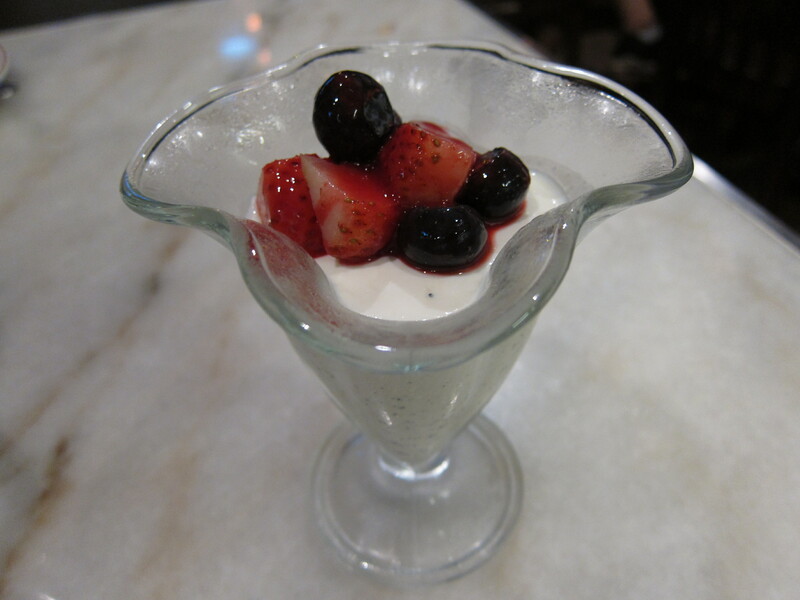 The Panna cotta was smooth and full of vanilla pods which I love and I was pleased to note that it was not overly rich or sweet and the fruits were a refreshing complement. I can see exactly why Piccolo Pizzeria is able to open a third branch. With reasonable prices (around $120-180 for mains) for hearty, unpretentious but well-executed food, it is somewhere that I know I will be finding my way back to for a tasty meal with solid service and a friendly atmosphere. Categories: Italian, Pizza | Tags: 'nduja, child-friendly restaurant, Italian food, Kennedy Town, pancetta pizza, panna cotta, pasta, Piccolo Pizza, Piccolo Pizzeria & Bar, salad, Tai Hang, tiramisu, Wan Chai | Permalink. I bloomin’ love Tai Hang. This little area nestled between Tin Hau and Causeway Bay is just so… adorable. I find everything about it charming, from the sweet elderly lady near Classified who jams herself into this crevice and sells potted plants and flowers and the gorgeous dogs that wag their tails happily from the pet shop opposite the Chinese Recreational Centre, to the quaint cafes that are dotted around the side streets. Tai Hang is undergoing a bit of a face-lift with lots of new eateries popping up. The streets are looking less weather-beaten and more spruced up. I liked the old Tai Hang with it’s unpolished edge, so I hope that the urbanisation stops at this point before the area loses its charm. That being said, I do like how there are some cracking great places to kick back and relax over coffee and also some truly nom-tastic restaurants, one of which is No. 5 Italian. Not sure why they price everything in Euros! 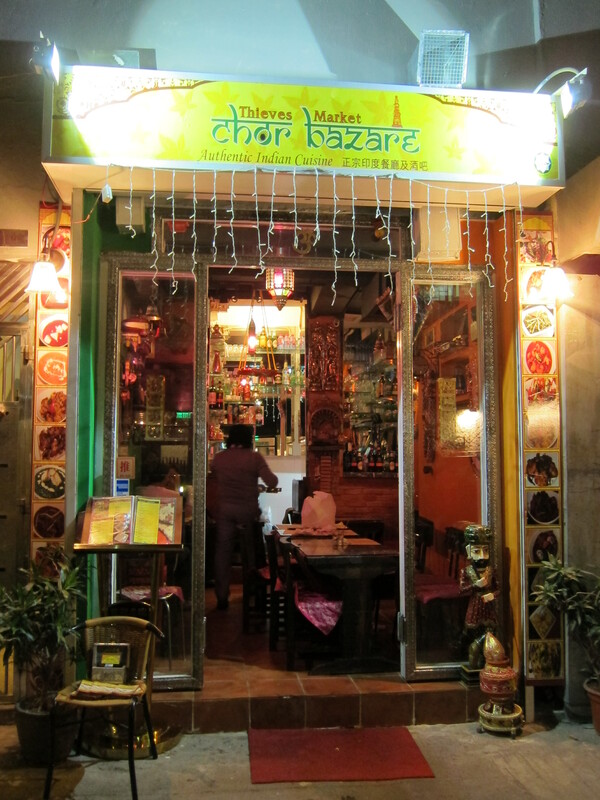 This delightful establishment is hidden behind the maze of streets in Tai Hang and is as compact as its menu, with a rustic interior able to sit no more than 20 people and a cosy terrace out the back. The small menu shows five options each of appetisers, homemade noodles and pizzas and a blackboard pinned above the kitchen has a selection of daily specials. The prices are bizarrely in Euros. I have no idea why they would choose to do this, other than to be merely quirky, but considering they have to then convert the prices back to HK dollars when the bill comes… it is a slightly pointless detail. However, they set the conversion to 1 Euro= $10, in case you think you will get scammed every time you return! I managed to reserve the terrace at the back for our group and it was genuinely lovely to be tucked away from the maddening crowd and enjoy each other’s company, even with the leaky air-conditioning unit. The waiters at No. 5 were attentive and helpful and were great at giving honest opinions about the food. Our waiter for the evening, (the chef’s nephew) was hilarious and very enthusiastic, telling us which were his favourite dishes, but he also steered us towards other dishes he thought we might like. We definitely felt that other establishments could learn a thing or two about service from these guys. 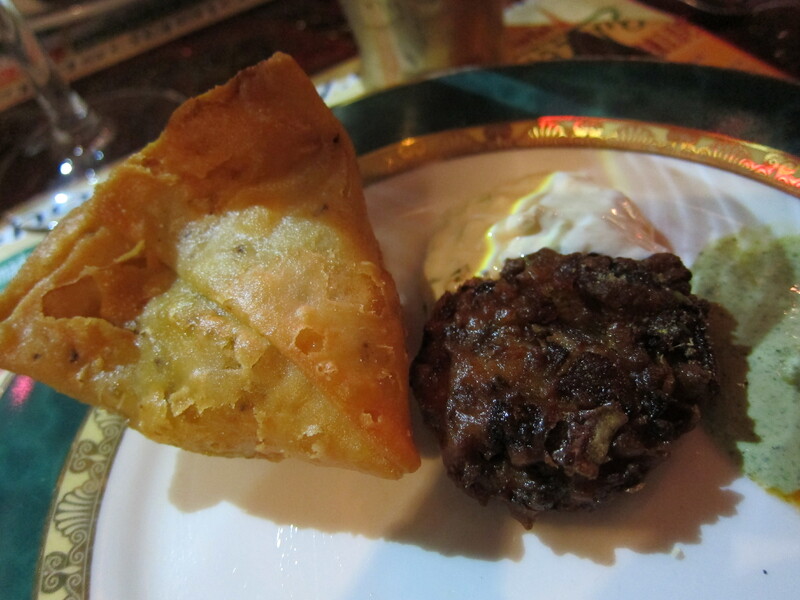 One of our party of four is a vegetarian and she was pleased to see that the menu had some herbivorous offerings. 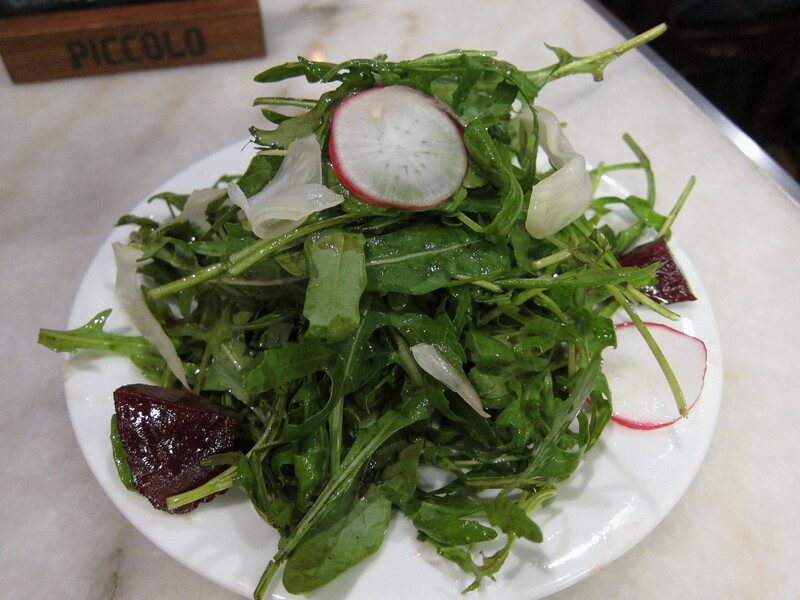 We started by ordering a Goat’s cheese and rucola salad with white truffle honey dressing which was a tasty start to the meal. The pungent aroma of the truffle and the rucola mixed together nicely and the cheese was on the right side of strong with the honey tempering the robust flavours. The three carnivores also tucked into a plate of antipasti and dug into the delicious basket of bread with white bean puree. Our mains were quite exciting. We went for the wild mushroom risotto with pesto sauce, the pappardelle with stewed wagyu cheek and the Johnny’s style pizza with parma ham, white truffle, rucola, tomato sauce and buffalo cheese. The risotto was scrumptious and nicely al dente with a good bite and generous amount of wild mushrooms. We thoroughly enjoyed the eggy pappardelle steeped in beef jus and topped with the wagyu cheek, a few slices of radish and a baby carrot. Delicious. The best dishes of the night were by far the pizzas. Everyone has their own preferences, so don’t take my word as gospel, but I really love thin crust pizza and I honestly thought these were the best thin crust pizzas I’ve had thus far in Hong Kong. 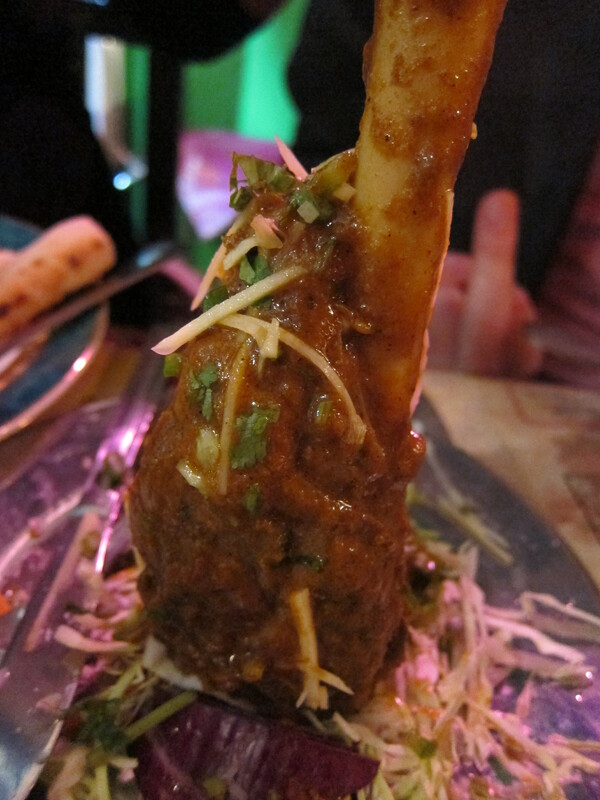 The crust was paper thin and crispy and the base had a nice elasticity to it. My friends’ and I are parma ham freaks and think that anything with parma ham on it instantly tastes better but this was an excellent pizza with or without the ham. I do think truffle is getting a bit overused in restaurants these days, but here, the truffle gave the pizza an extra lift, both in aroma and flavour. 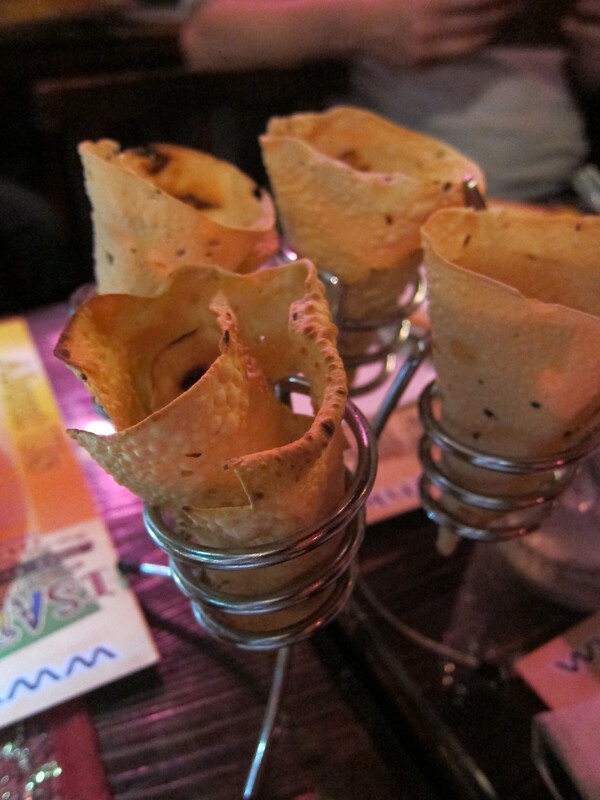 So much was our enjoyment that we greedily ordered another pizza- the Rio’s Style, much to our waiter’s delight. The Rio’s Style was my favourite. It’s moreish toppings of portobello mushroom, squid ink tomato sauce, anchovies, black olive and lovingly melted cheese, made getting black teeth worth the while. At the end of our feast, we sat back, admired the fronds of the potted plants next to us and chatted whilst we sipped our coffees and Milos. I think this was Milo?! Can’t remember but it was delicious. 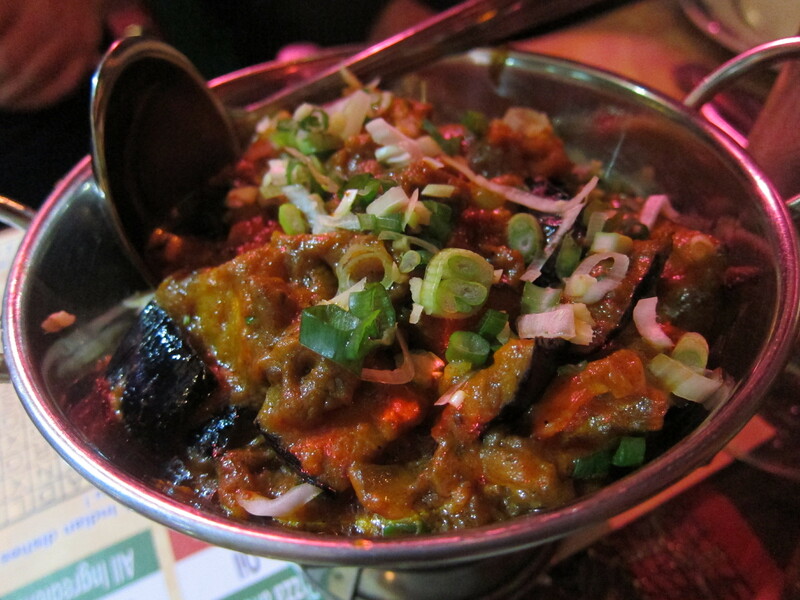 What I enjoyed the most about our meal and the next two occasions that I visited No. 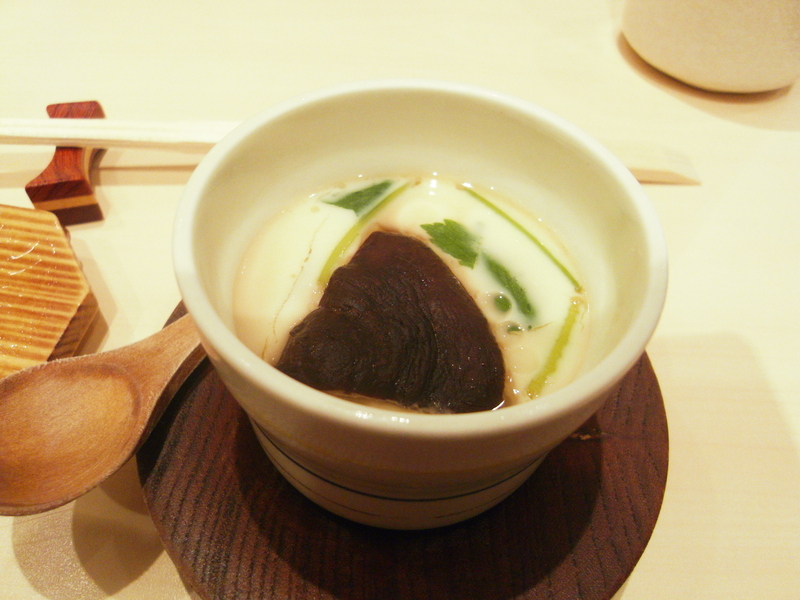 5 was the simplicity of each dish. There’s nothing pretentious about their presentations and there’s a real family feeling to this establishment. I certainly have a little soft spot for this place! No. 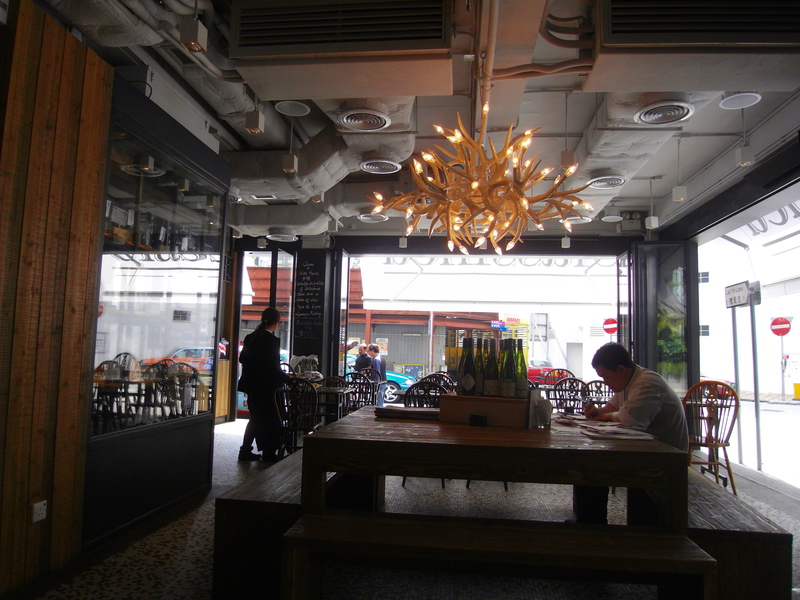 5 Italian, 21C Brown St, Tai Hang, 2504 2111. Open daily 6pm-midnight. Categories: Italian | Tags: No. 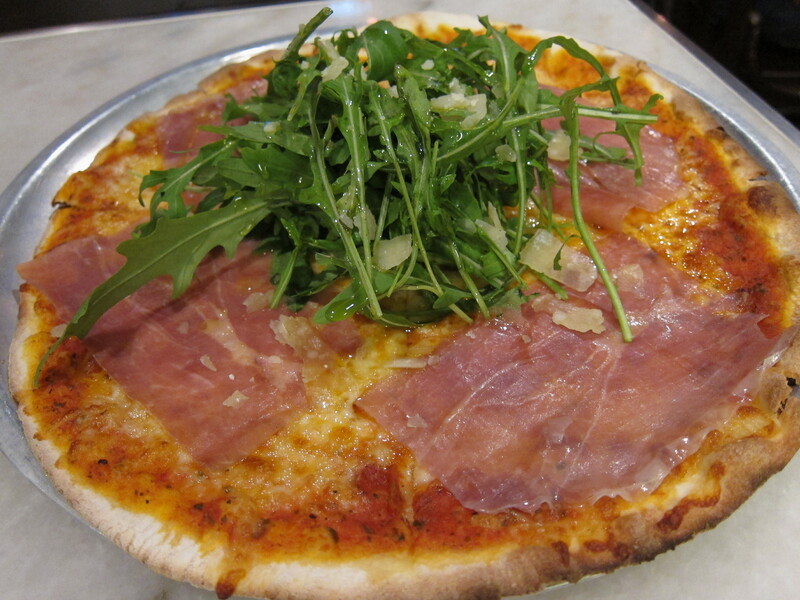 5 Italian, Tai Hang, thin crust pizza | Permalink. 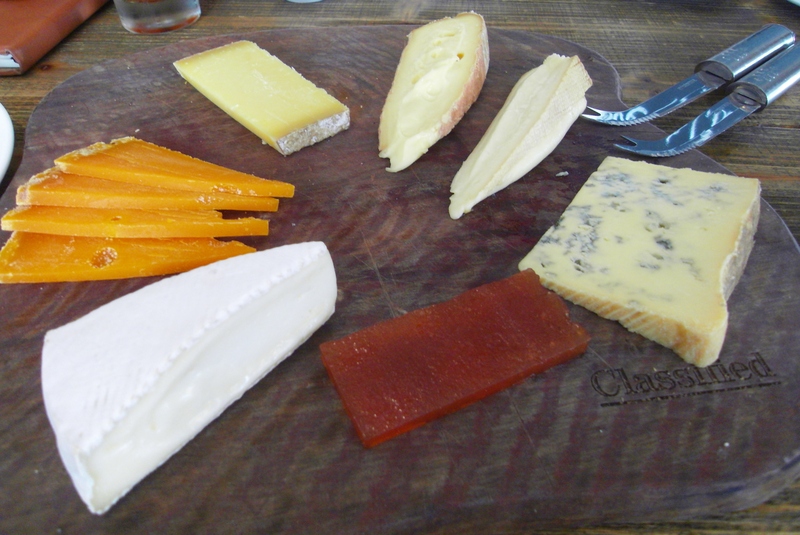 When an opportunity to go for a tasting with a cheese expert at Classified arose, I was pretty much jumping for joy and just drooling from the anticipation, as, yes you’ve guessed it- I’m also a cheese fiend. I adore cheese, all kinds, blue stinky Stilton, creamy Brie, Boursin (Du pain, Du Vin, Du Boursin? Loved that advert! ), Edam, and even the humble Cheddar. When I met with Wendy, Classified’s Cheese Specialist, at the new branch in Tai Hang, I was immediately struck by how tiny she was- how can she eat cheese everyday and still be so small? Jealous! She started the tasting by leading me to their impressive cheese cabinet and telling me about their range of cheeses. 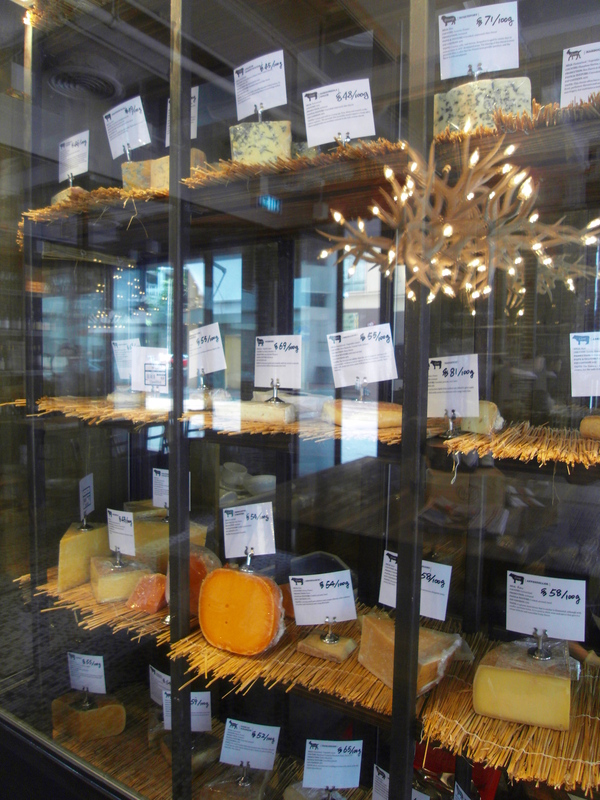 Classified generally houses between 40- 60 cheeses at each branch and the flagship on Hollywood Road has the greatest range to choose from. All of their cheeses come from the UK and Europe, with the majority coming from UK and France. Wendy and her colleagues are careful to select only local farm produce and signature and classic cheeses from each country, ensuring the highest quality for Hong Kong consumers. You can buy 100-200g of cheese for immediate consumption, or if you’re sitting down to eat at one of their branches, you can have a 3, 5 or 7 cheese platter. I was particularly impressed to discover that if you’re throwing a party, you can supply Wendy with your wine list, and she will pair the appropriate cheeses that would go with your tipple of choice, and Hey Presto! You have a whole wheel of cheese! Wendy had already selected five cheeses for me to try, but I asked for a sixth to be added- the Stinking Bishop, as I hadn’t had that in ages. I was drooling again as we sat down, and when the cheese platter arrived, I was in fromage heaven. As a cheese lover, I always thought it was remiss of me not to have learnt more about the production and the different types. All I know is cheese is yummy, and one should have an emergency wedge in the fridge. But my scant knowledge was changed as I was given a lesson on the selections in front of me. I know now that cheeses are classified according to milk type, texture and production methods. 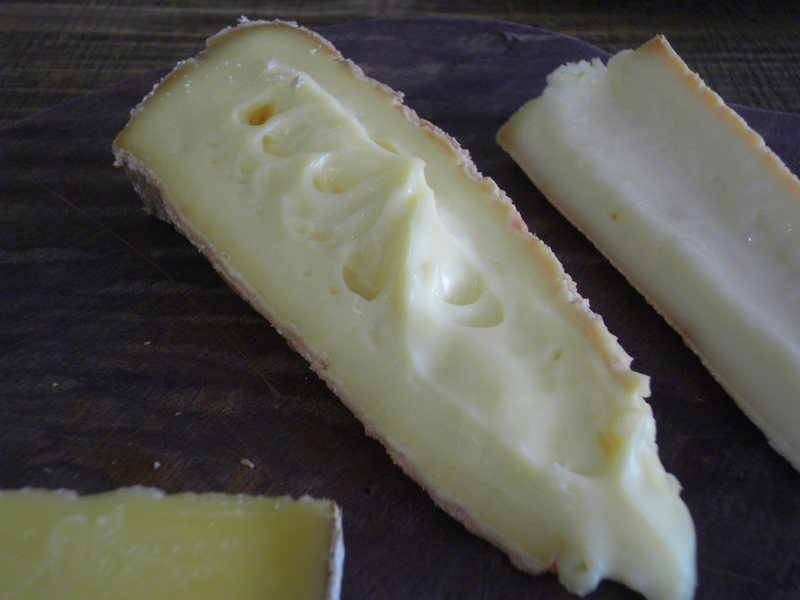 Milk type being either goat, sheep, cow or buffalo; texture- soft, semi- hard, hard and production methods being washed rind, blue or natural maturation like Brie. But more on that later! We had six cheeses, starting with the Wigmore. A cheese made from ewe milk and hailing from Berkshire, UK, it’s suitable for vegetarians as it’s made using vegetable rennet. 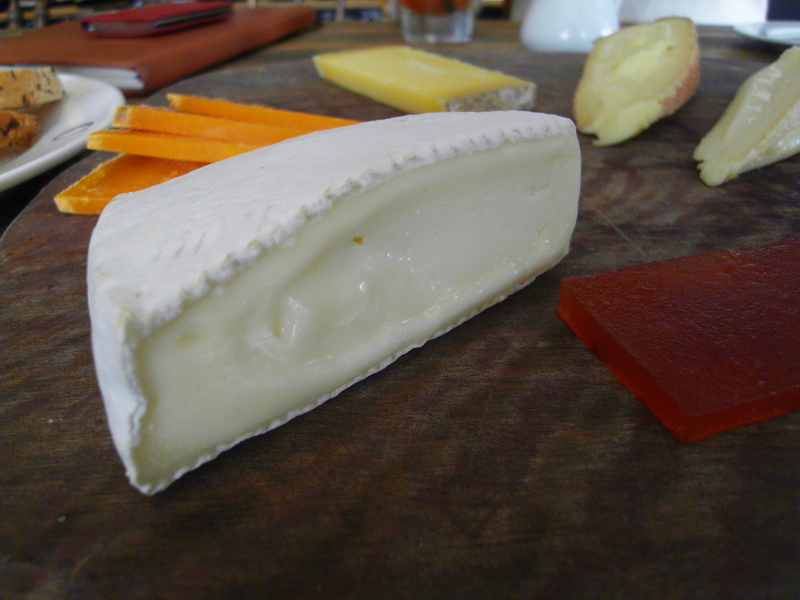 The Wigmore had a fantastic flavour, light and salty with that distinctive sheep aroma, but once paired with quince paste, (a type of marmalade or jam made from a Spanish apple, that cleanses the palate), it left a lovely milky flavour with little saltiness and sweet aftertaste. 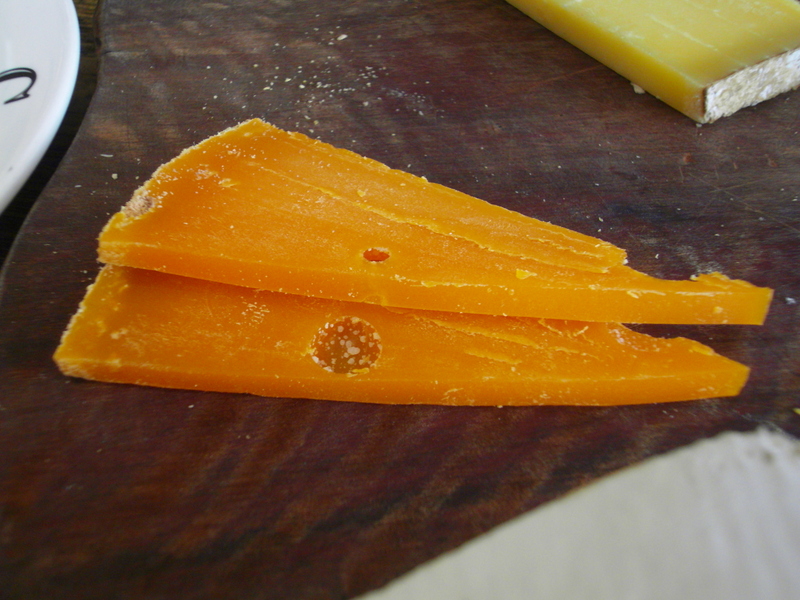 The Mimolette is an orange coloured, cow’s milk signature cheese from the north of France, with a greyish crust. I was told the Mimolette is the French version of Edam and the colour comes from an African plant called annatto. The sample I had was aged to 24 months, but you can consume it at different ages, the longer it’s aged, the harder it is with crystals inside. This cheese has what experts call a complex taste, firm with a nutty flavour and slightly sour finish. 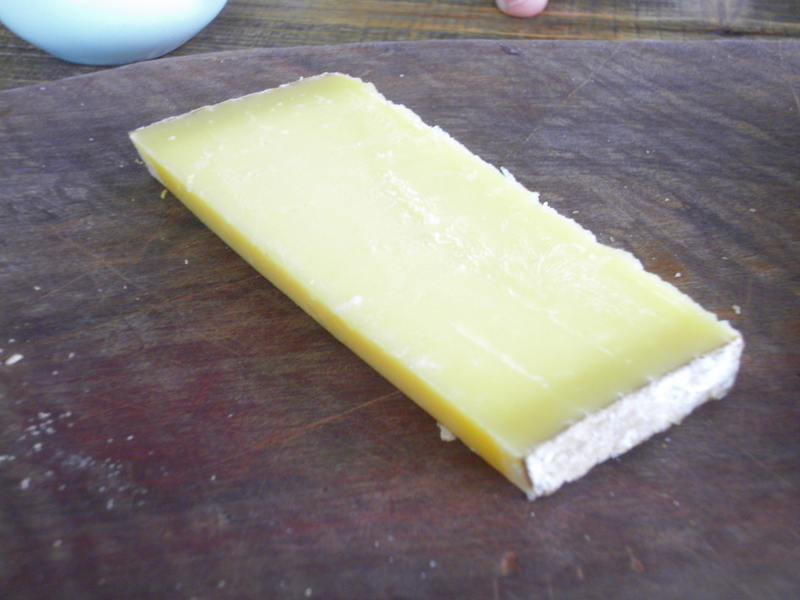 Cheese three was the Comté , a French cheese made from cow’s milk in the Comté region of Eastern France. A pale yellow in colour with a light brown rind, the texture was firm, the flavor delicate and nutty and you could taste the grain in the cheese. If eaten young at 12-16 months, there is no grain but from 24 months onwards till 4 years, it becomes harder, with more crystals, and crumblier and saltier. 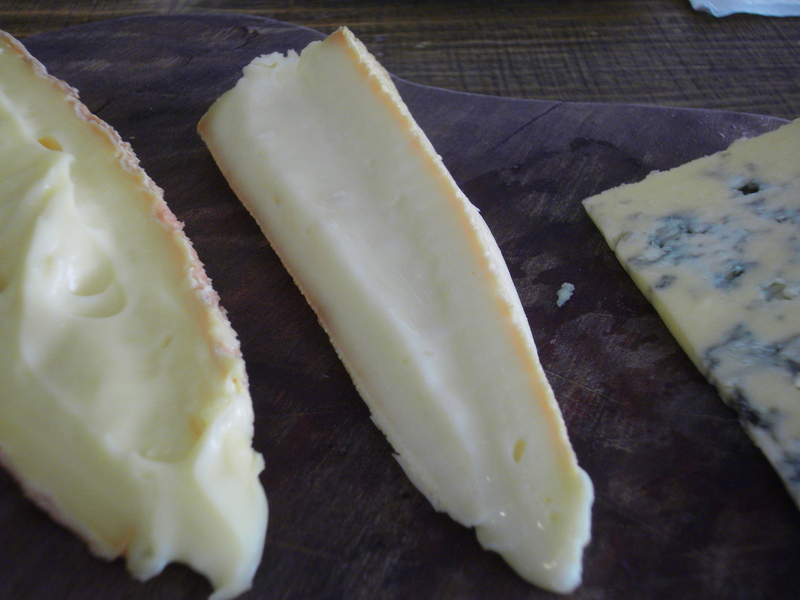 Next up was the Ardrahan, a washed rind, Irish cheese from Cork, made from cow’s milk and vegetable rennet. Washed rind cheeses are cheeses that are washed typically with a salt, water or alcohol based liquid after solidification and during maturity to retain the moisture, keep the texture pliant and add a certain flavor to the cheese. In this case, the Ardrahan was washed with a salty liquid. I really enjoyed it. 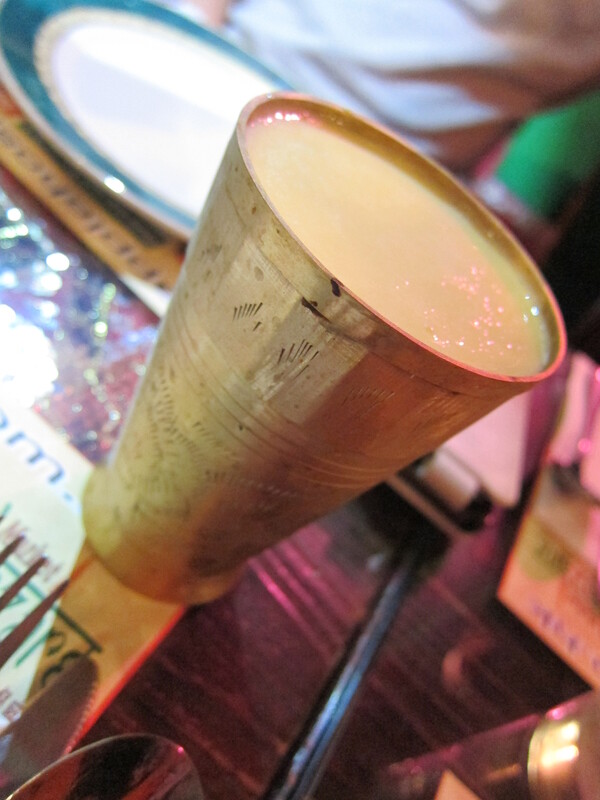 It had a strong smokey, lactic acid flavor, with an earthy undertone and a dry aftertaste. The epitome of a complex cheese, wonderful. Cheese five was my requested Stinking Bishop. My lesson on this cheese was a revelation for me. Another type of washed cheese, I never realized the name is so called because the cheese is washed with a perry (an alcoholic beverage made from fermented pears) made from the Stinking Bishop pear, a local variety grown near Dymock, UK. And there I thought that it was called that because a Bishop made it and it stank. How wrong can a girl be?! This is a simple cheese, with only one distinct fruity flavor to it, which made so much more sense to me after hearing its origins! 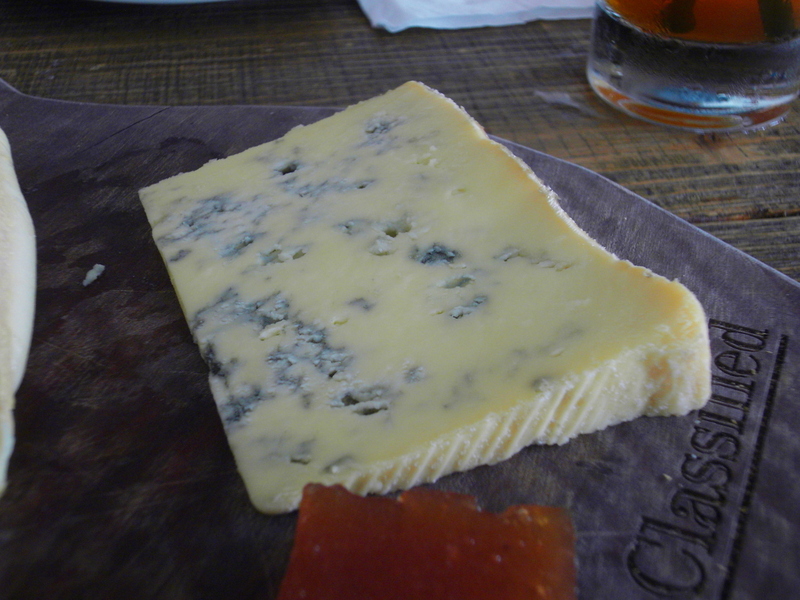 Last, but certainly not least, was the Cashel Blue cheese from Cashel in Tipperary, Ireland. It’s Ireland’s first farmhouse blue cheese and again suitable for vegetarians. 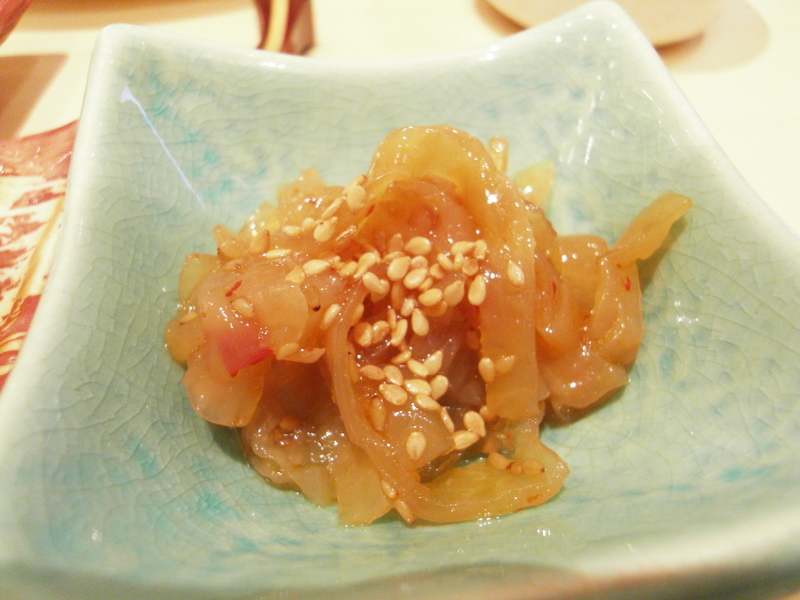 It has a lovely milky, salty taste with a semi-soft texture, perfect to smother on bread. On reflection, my favourite was the Wigmore, and I recommend you try it, even if you’re not a fan of sheep’s milk. It was honestly a beautiful cheese. So there you go, an education in cheese in an afternoon. The cheese is stored at 9-12 degrees in their cheese cabinets, but, Wendy told me, cheese should be eaten at room temperature. 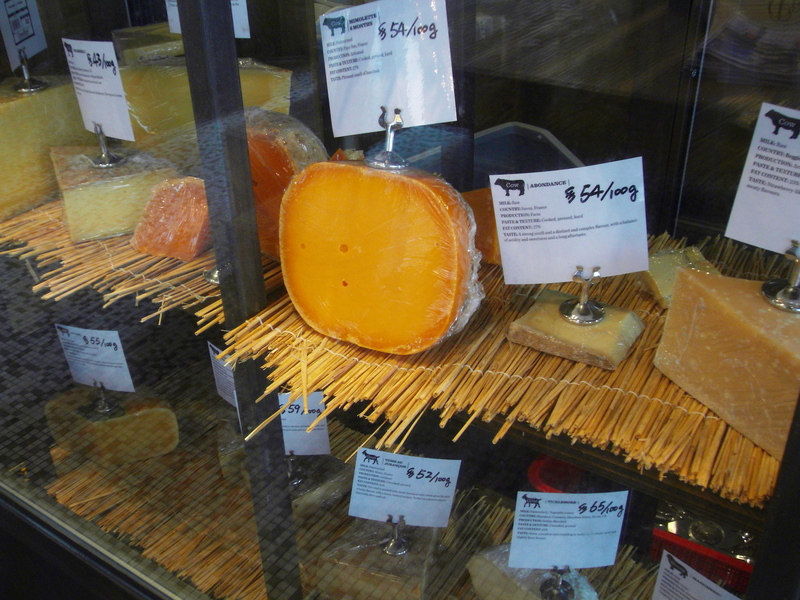 If you want to increase the shelf life of your cheese, you can store it at 4-5 degrees in your fridge. I hope the next time you bite into your wedge of cheese or sprinkle Parmesan on your pasta you have a little think about where it’s from and how it’s made. I know I will be! Categories: Cheese | Tags: Ardrahan, Cashel Blue, Cheese, Classified Hong Kong, Comté cheese, Mimolette, quince paste, Stinking Bishop, Tai Hang, Wigmore | Permalink. 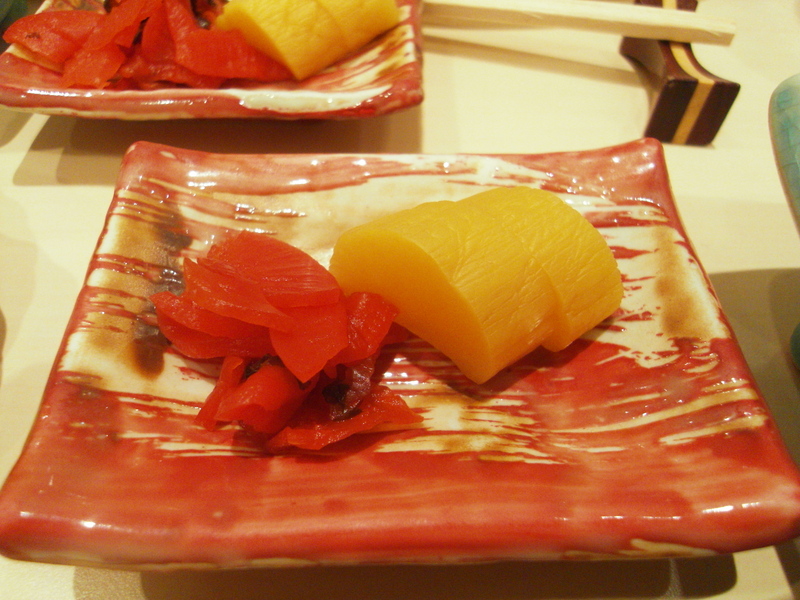 I’ve never been to Kenjo in TST but I hear it’s THE go-to place for fresh sushi and sashimi. But, what’s great is that 3 of Kenjo’s apprentices flew the nest and set up their own place Sushi Shin in Tai Hang.. and it’s pretty ace. Now, admittedly, I only went for lunch and had the lunch set, and I haven’t as yet tried their sushi/sashimi a la carte, but that should be reserved for a special occasion, especially as it can be up to a hefty $600 (or more) per person for a few pieces of exquisitely sliced fish. First thing to say about Sushi Shin is: make a booking!! Seating is tight in there and you will be disappointed if you’ve been dreaming about that plate of o-toro and then get turned away at the last minute. The decoration is simple: bright lights, beautiful blonde wood slats, cool granite flooring and a sushi counter centre stage, from behind which the sushi chefs weave their magic and greet you warmly as you enter the establishment.The restaurant can only sit around 20 people but there is a private room that can hold a further 10 people, so ideal for birthday bashes. Our entire group went for the sashimi lunch set, which comes with egg custard (amazing), pickles, jellyfish, miso soup and an assortment of sashimi- 7 types including toro, salmon, shrimp and tamago, all beautifully presented. The sashimi was excellent; incredibly fresh and juicy. To top it off, we all got a scoop of black sesame ice-cream for dessert to cleanse our palates. 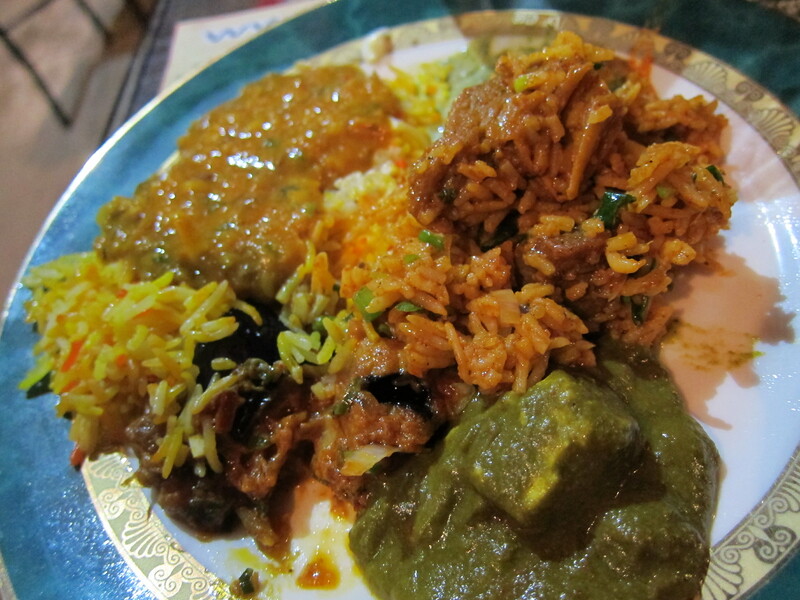 Lunch was deeply satisfying, the service was good and everyone had a great time. What more could you ask for on a Sunday afternoon? 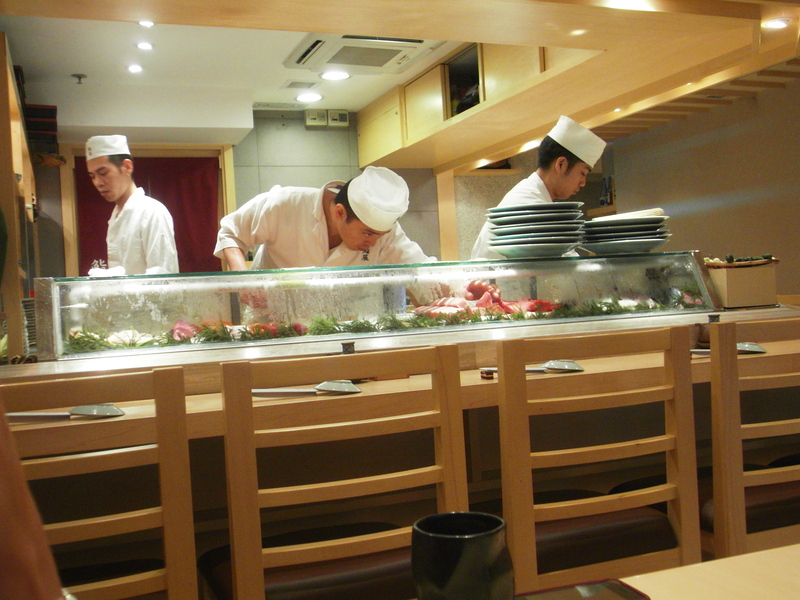 Sushi Shin, G/F, 110 –114 Tung Lo Wan Rd, Causeway Bay. Nearest MTR: Tin Hau. Tel: 2398 8000. Opening times: Daily noon-3pm, 6pm-11pm. 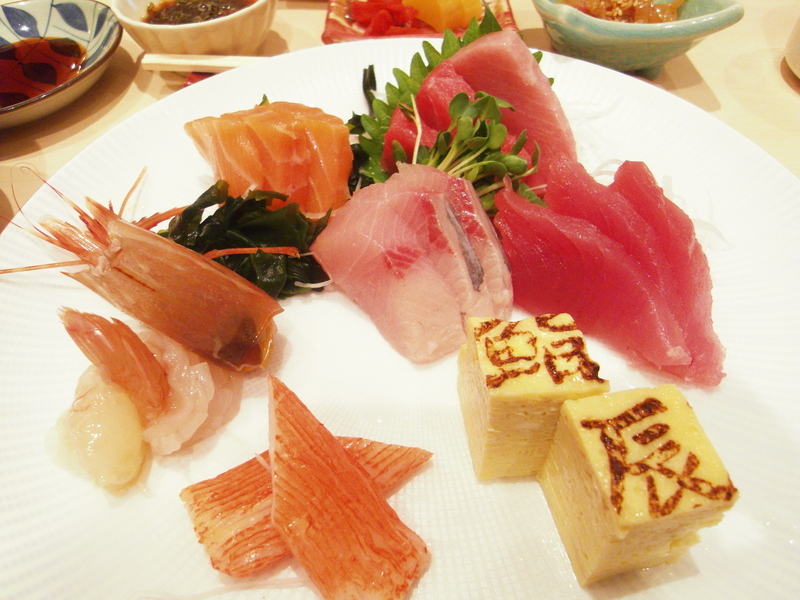 Categories: Japanese | Tags: Causeway Bay, Hong Kong, Kenjo, Sushi, Sushi Shin Hong Kong, Tai Hang, Tin Hau, Tung Lo Wan Road | Permalink.